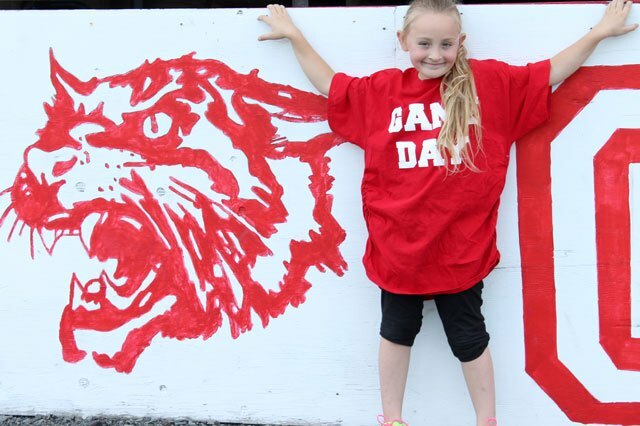 Next to waving pompoms and shouting through a megaphone, kids love to wear team shirts to show support for their favorite sports team. However, those T-shirts are often way too big and not very flattering. 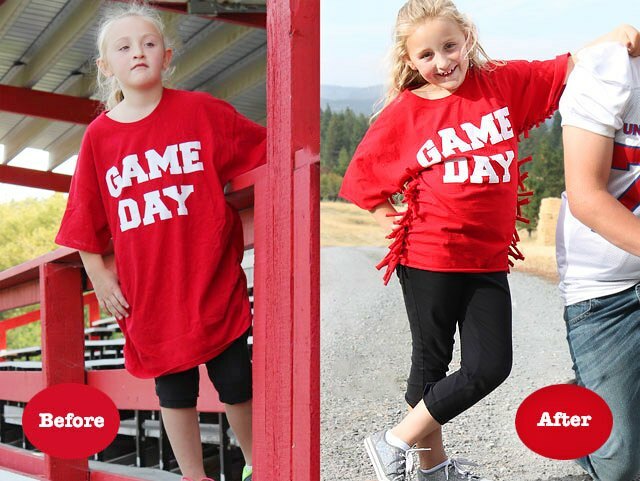 Even if you don't have the know-how to sew, you can cut and tie the sides of too-big shirts to fit your kids and get them game-day ready in no time at all. 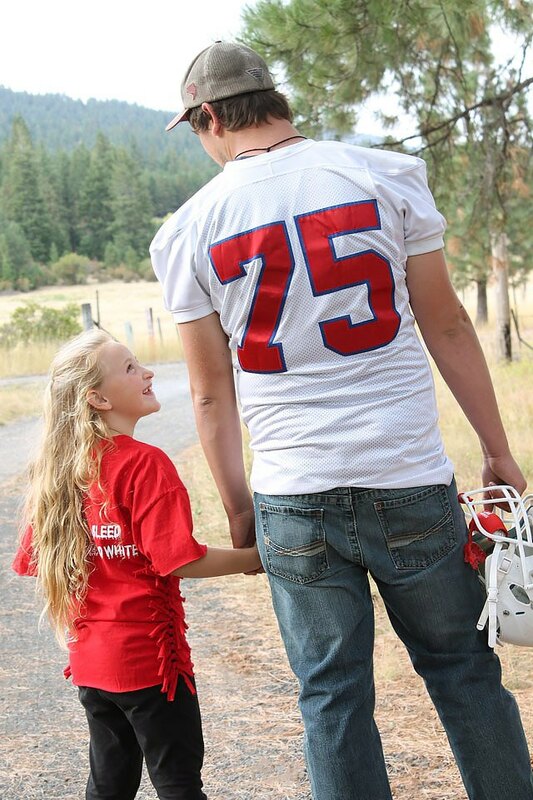 Have your child put on the too-big T-shirt. 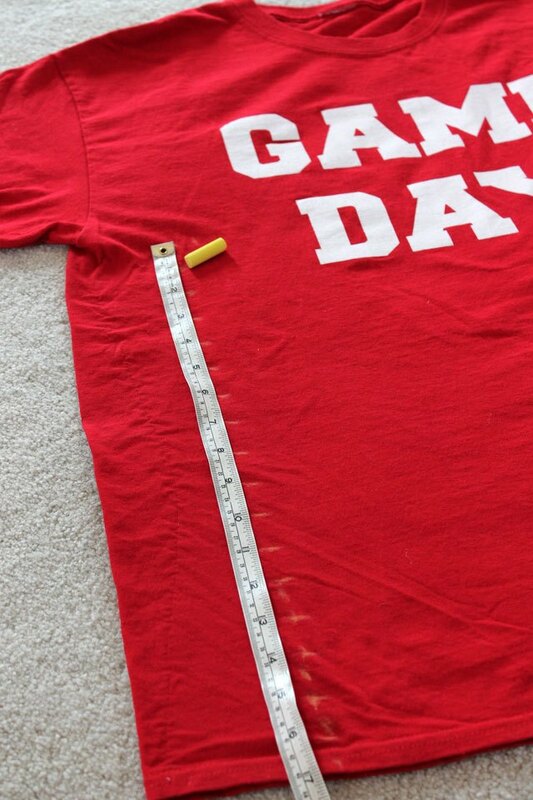 Measure the newly desired length and mark it with a pin. Have your child take the shirt off. 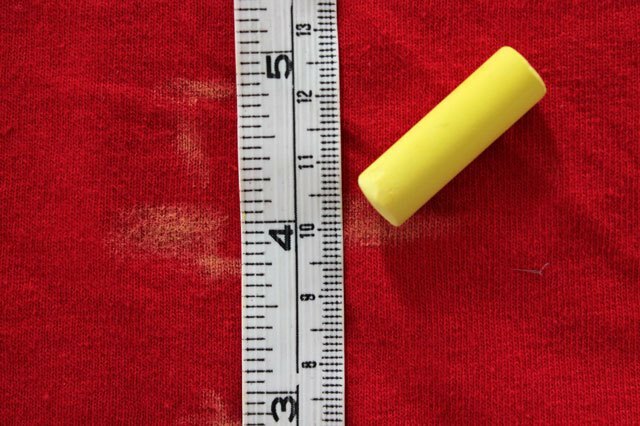 Mark the new length all around the T-shirt with a piece of chalk. 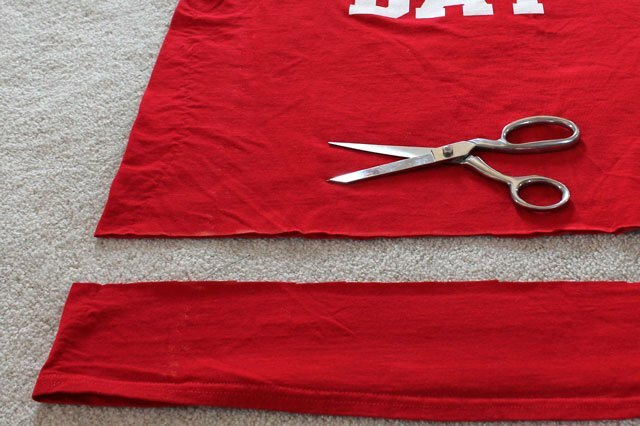 Use a sharp pair of scissors and cut along the chalk line to create the new length. 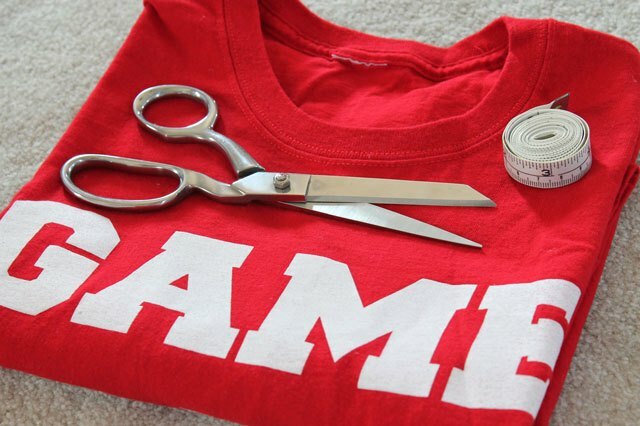 Put the shirt back on your child and pin along each side and under each sleeve of the shirt to fit. 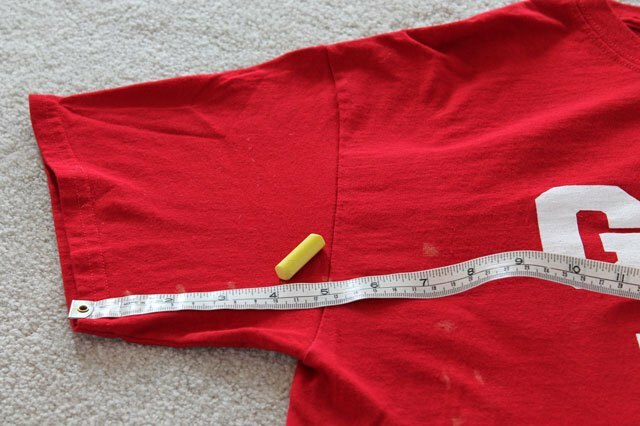 Then take the shirt off and mark along the pin lines with a piece of chalk, marking 1-inch increments along the new side seams. You can take the pins out after you mark the line. Continue marking 1-inch increments under the sleeve. 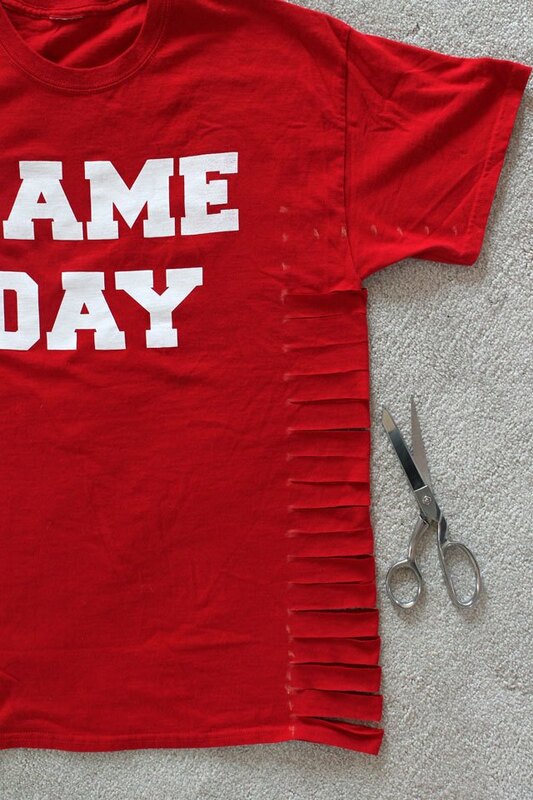 Cut 1-inch strips from the side of the shirt to the new side seam line, using the 1-inch chalk marks as a guide. 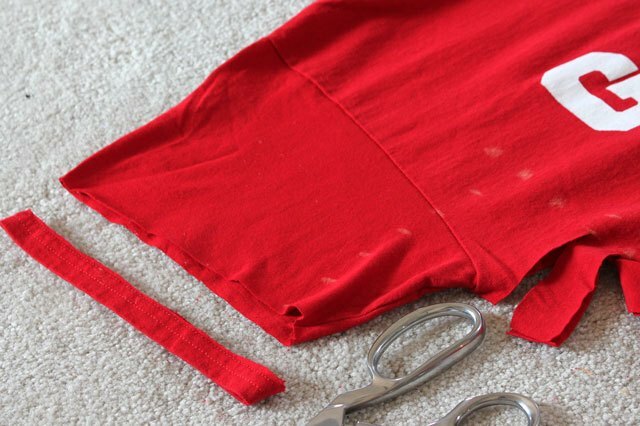 Cut off the hem of each sleeve. 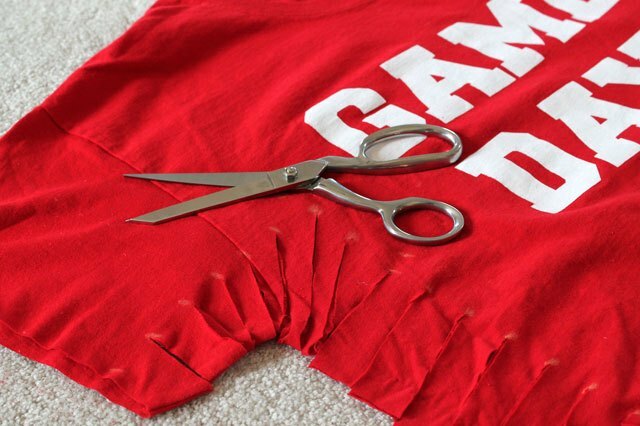 Continue cutting the side seam on an angle as you transition from the side chalk marks to the sleeve chalk marks. 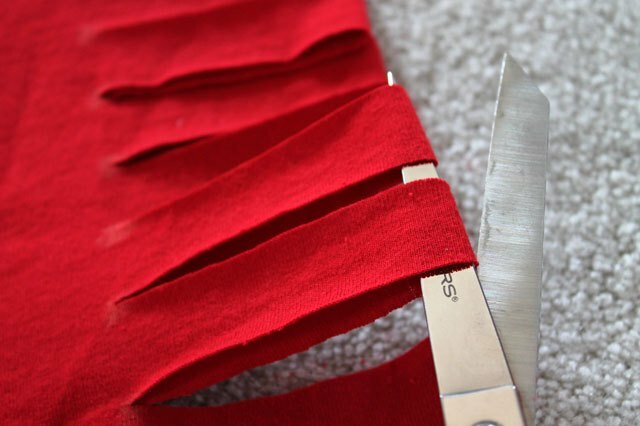 Cut open the end of each strip. 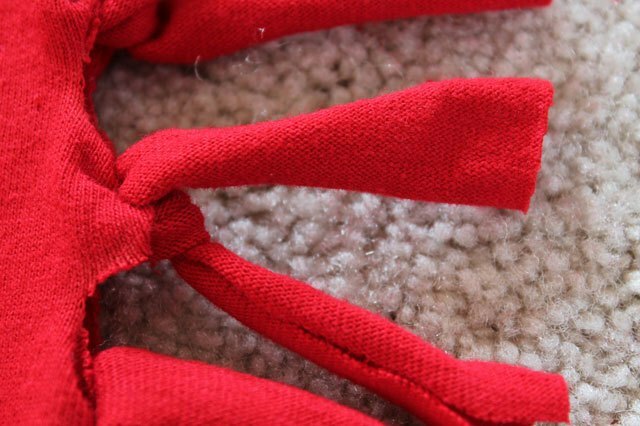 Tie each set of strips into a tight knot. 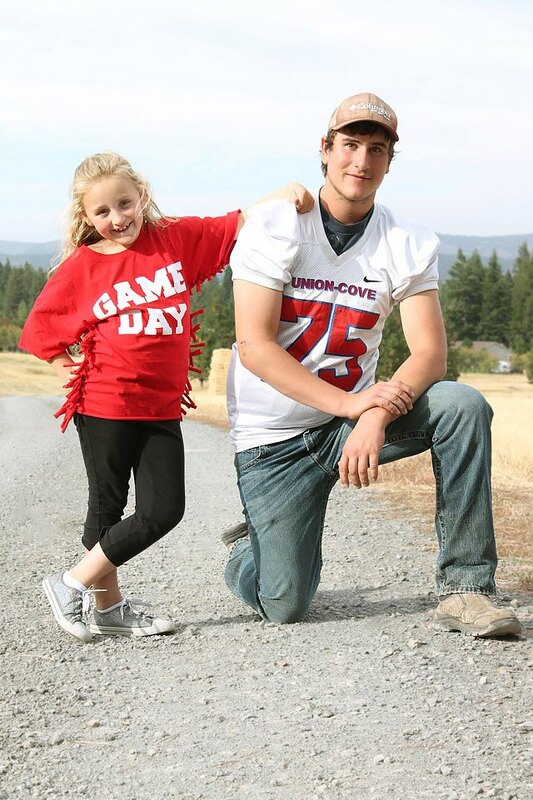 Now your kids can put on their new shirts, grab some pompoms and head to the nearest field to cheer on their favorite team.